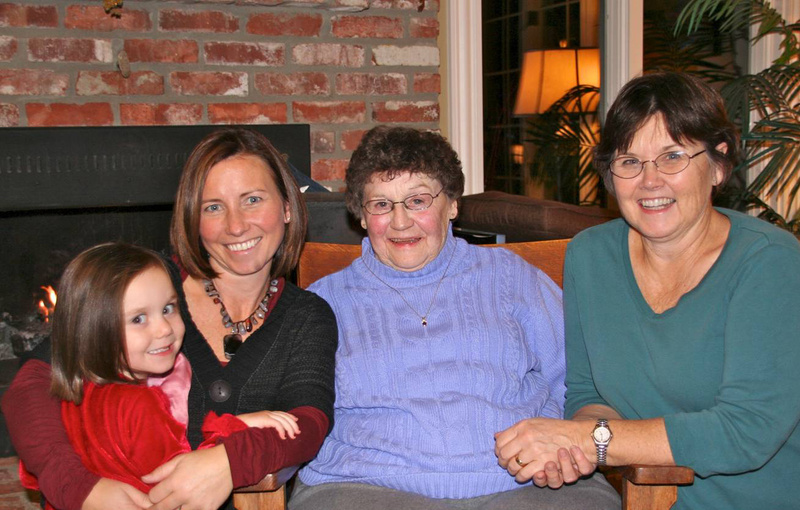 Jean Leonard, right, sits with her mother, Bernice Garber, daughter Heather Roy and granddaughter Dannan Roy in December 2009. What, boomers worry? Forget about it! It is said that our parents’ final gift is this: They teach us how to die. Aging experts predict that end-of-life care, as well as management of chronic illnesses, will change dramatically for boomers, because of what the boomers are learning while caring for their aging parents. Here’s one woman’s story about these final lessons. Back story: Leonard stepped up for major caregiving duties, beginning in 1999, when her 74-year-old father underwent heart surgery. Her parents’ health issues stretched over the next 10 years and included her father’s strokes and her mother’s metastatic breast cancer. Leonard, a small business owner, had more flexibility than her two siblings (who live out of town) to oversee their parents’ care. After retiring, Leonard and her husband moved from Colville to Spokane in 2008 to be closer to her parents, who had relocated here from Reardan. Leonard drove her parents to doctor’s appointments, relocated her parents to retirement and nursing facilities and took the middle-of-the-night phone calls. What she learned: Doctors were too aggressive in treating her parents’ illnesses, prolonging the inevitable. Leonard said: “My mom was seeing an oncologist. In five years of appointments, I don’t remember the doctor ever mentioning to Mom that she had a terminal illness. It was always about more medication, radiation, chemo and scans that she truly believed would help her get better. How caregiving changed her: Leonard’s husband designed their current home. It will allow the couple to age in place. The main floor has a complete living area, no steps required. Hallways and showers will accommodate wheelchairs. An upstairs floor will be ideal for a live-in caregiver. Leonard’s experience with her parents also informs her health care decisions now. Future expectations: The couple’s three grown children are 44, 40 and 35. Leonard and her husband have talked with them about their wishes for their older age, and the Leonards have all their advance medical directives, as well as financial information, in writing. Leonard hopes her children will participate in their lives as she and her husband get older.